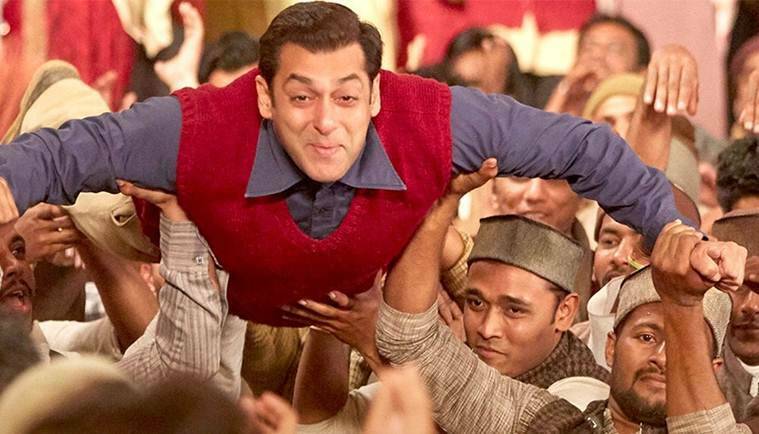 Tubelight movie review: Salman Khan, Kabir Khan film gets its message right -- love conquers all -- but it is the messenger who fails. The effort of playing a slow-witted man shows on Salman in every frame. It is the supporting cast including Matin Rey Tangu, Om Puri who are the film's strength. Tubelight movie review: The film presents Salman Khan in full Forrest Gump mode. He not only loves his brother Bharat (Sohail Khan), he also teaches us to love our neighbours, during peace or strife. A man child. Or a child-like man. Salman Khan has had long practice of playing one or the other kind of male, and has aced both. His latest alter ego takes the child-like aspect of man several notches higher. Salman’s character Laxman Singh Bisht is called, disparagingly, ‘tubelight’. Why? Simple. It flickers. It takes time to switch on. And then, and then only, there is light. Because it is Salman, we go in looking for a plot designed to propel him, and us, towards that light. And because it is Kabir Khan, who has the ability to layer mainstream with meaning, and who has given the star one of his most memorable films, Bajrangi Bhaijaan, we hope for the magic to work again. Some of the film’s more likeable moments are shared between Laxman and the little boy, who’s completely edible, and an absolute natural. The supporting cast, which includes the late Om Puri, as a father-figure to the brothers, and Zeeshan Ayyub as a local hothead, among others, is solid. Sohail reprises his caring ‘bhai’ role: we’ve seen him as Salman’s younger brother before. But when the main act isn’t convincing, the film becomes just like the title: too much flicker, too little glow. The one word that’s bandied about in every other line in the film is ‘yakeen’: ironically, that’s the one thing we don’t. Believe, that is. Despite its fluffiness, Bajrangi Bhaijaan was a sharp skewering of communal differences, and a strong call for cross-border ‘bhaichara’ Tubelight aims for the same mix, but falls flat.